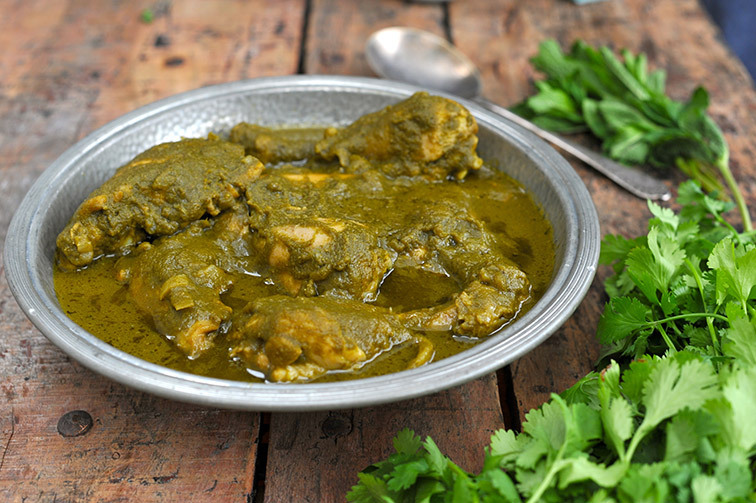 Chicken cooked in a delicious and fragrant paste made with lots of fresh coriander, a hint of mint and whole spices. 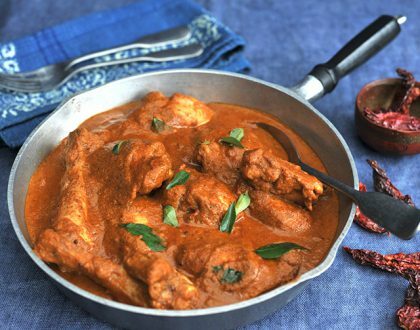 Perfect served with steamed rice or roti. Health Hack: Chicken is a great source of minerals, vitamins and protein. Coriander provides a good boost of green carotenoids (a group of A vitamins) along with vitamin C and fibre. 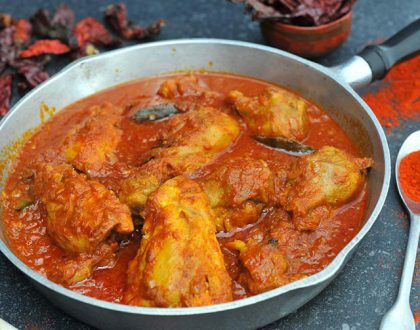 The spices add anti-bacterial qualities to the dish enhancing the nutritive value as well as flavour of the dish. Marinate the chicken in lemon juice and salt. 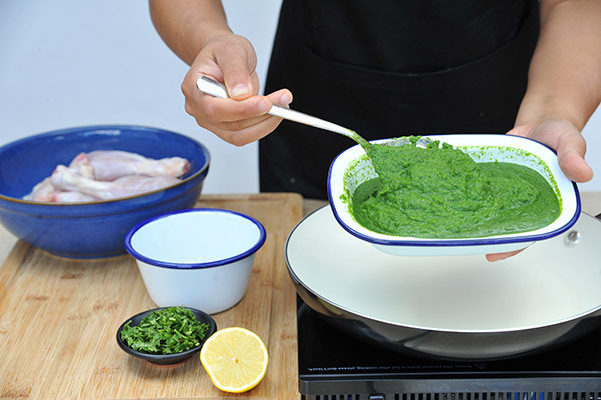 Blend together the ingredients for the paste adding very little water if required, reserving a little coriander. 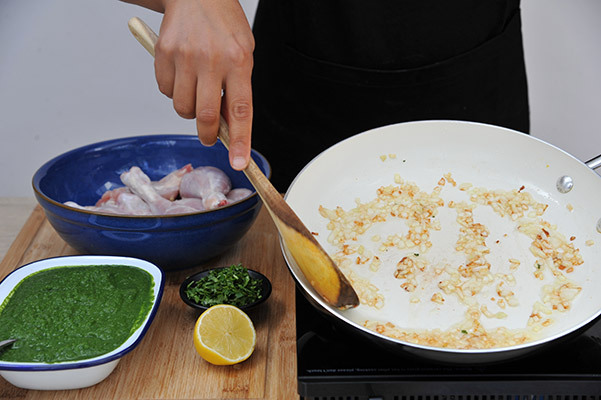 Heat the oil in a non-stick saucepan and fry the onion until they go soft and are beginning to brown. Add the paste and cook for 10-12 minutes, stirring often over a moderate heat. Once the sides of the paste leaves oil then stir in the chicken. Fry the chicken in the paste for 5-7 min before adding salt, water and bringing to a boil. cook on a low heat. Simmer for 20 minutes with the lid on a low heat and stir half way through. 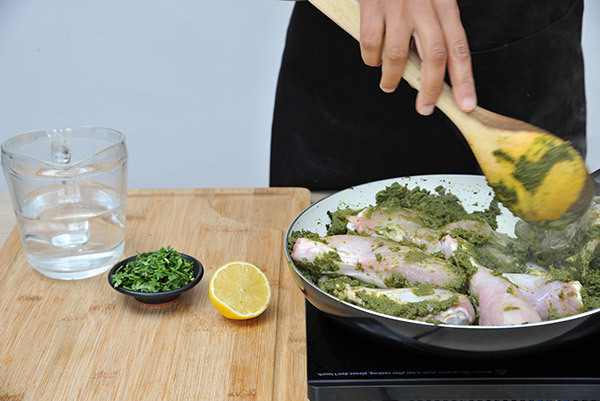 Chop the reserved coriander and stir in. 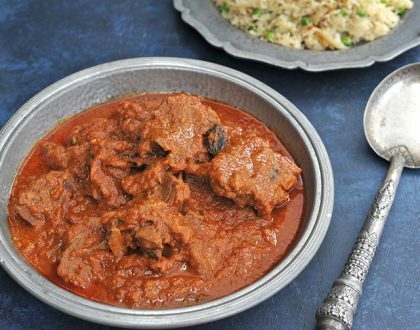 Serve with any flat bread or rice. 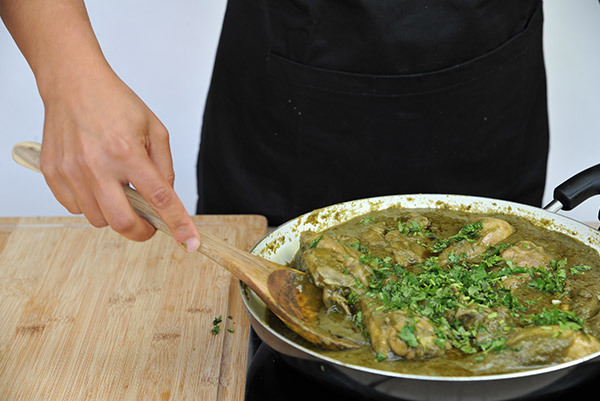 Use a full bunch of coriander along with the stalks rather than just picking the leaves as stalks carry a lot of flavour. 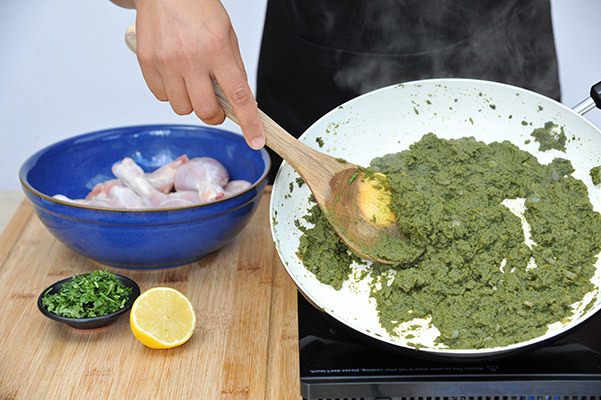 Also make sure you wash the herbs well before using in the paste to ensure there is no grit.